Sola Sisters: Ayurveda "Old Fashioned" Therapy? Well, Sure, If You're A Hindu. Ayurveda "Old Fashioned" Therapy? Well, Sure, If You're A Hindu. In a recent blog post, Tony Jones, one of the main leaders of the heretical emergent church movement and newly on staff at Fuller Seminary, discusses his struggles with depression and withdrawal from the anti-depressant Wellbutrin. Jones talks about the various methods he is utilizing to ease his withdrawal symptoms, including using "new-fangled Western brain chemistry research and old-fashioned Ayurvedic typing." To which I say, huh? Since when was ayurvedic typing considered an "old-fashioned" kind of treatment? So let's just look at what ayurveda is, and determine whether a professing Christian (and Fuller Seminary theology professor) ought to be messing around with it and recommending it to fellow Christians. 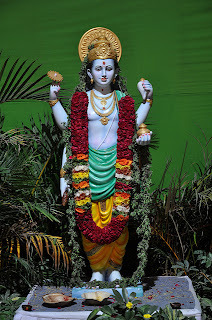 Ayurveda (आयुर्वेद) - which translated means "science of life, " is a Hindu medicine practice believed to have been handed down from Brahma, the Hindu god of creation, to an earthly man named Dhanvantari who was later deified as a god. Ayurveda also has its roots in the Vedas, the ancient holy writings of the Hindu religion. Ayurveda is metaphysical at its core, and stresses maintaining a balance between three elemental "energies" (or doshas). According to ayurveda, these three regulatory principles are important for health, because when they are in balanced state, the body is healthy, and when imbalanced, the body has diseases. This is in direct contradiction to the biblical worldview which states that bodies have diseases as a direct result of the Fall of the Garden of Eden. When sin entered the world through Adam's rebellion, our once perfect world became broken, and disease and death entered in. So, when Tony Jones, Fuller Seminary theology professor, says he is getting relief for his depression through the "old fashioned" therapy of ayurveda, I have to ask what seems like a very obvious question: is he sound for his post as a theology professor? After all, theology is the study of God. And the question must then be asked: which "god" is Tony Jones studying? The Hindu god Brahma? 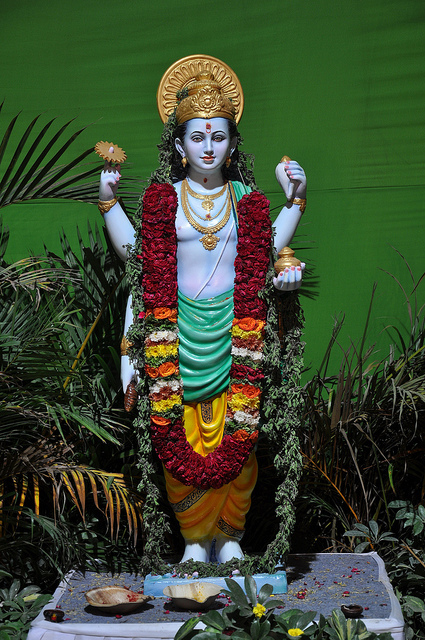 Or the Hindu god Dhanvantari? Or the one true God of all the world, the God of the Bible? While I do have compassion for Tony and his struggle with depression, it is my understanding that depression is often related to a sin issue. With this is mind, perhaps there is a sin issue in Tony's life that has remained biblically unresolved? If so, I would exhort him to deal with it biblically, rather than go drinking from the broken cisterns of the world that do not hold water. There are no worldly remedies for our problems, only biblical ones.